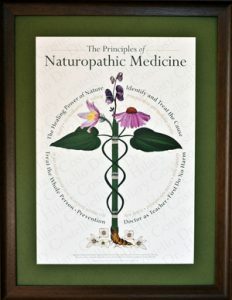 Our site lists licensed Naturopathic Physicians, also known as Naturopathic Medical Doctors, and their specialties so that you, the public, can make informed decisions about which physician may provide the types of services you are seeking. As physicians given the honor of caring for our clients we believe in the following tenets of health and medicine. We wish you well and sincerely hope that one of our physicians will help you to recover your health. Go to our List of Physicians.